Don’t throw that away just yet, you never know where you can use it. And while that may not be the case with most things you’re about to throw away (after all, we’re all about keeping our homes clutter free), some waste material is actually quite useful in DIY craft projects. So what should (and what shouldn’t) you hold on to? 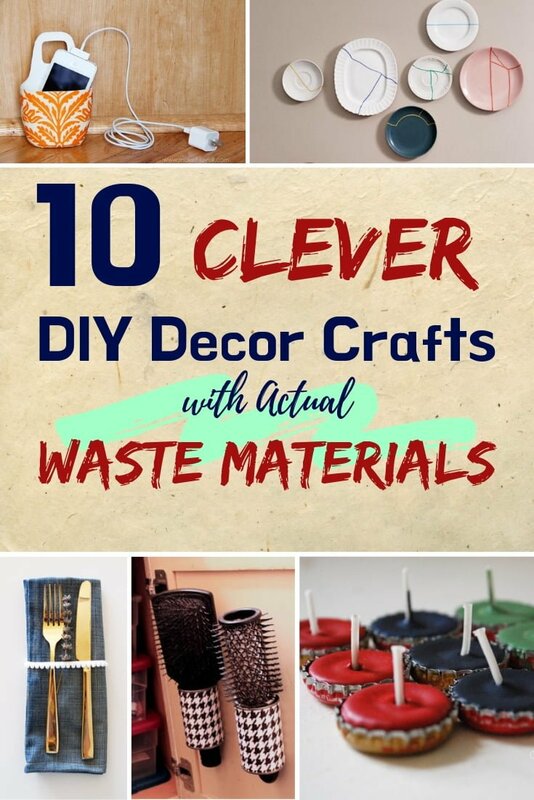 Here are 10 home decor DIY ideas that you can make with waste materials that literally cost you nothing. Keep your home cord clutter free by making a few of these phone holders to neatly pack them while charging. Paint the bottles in an attractive pattern (or solid color) to make them decor accents rather than eyesores. Cracked or broke a plate? Worry not, you can actually use it to decorate your walls. 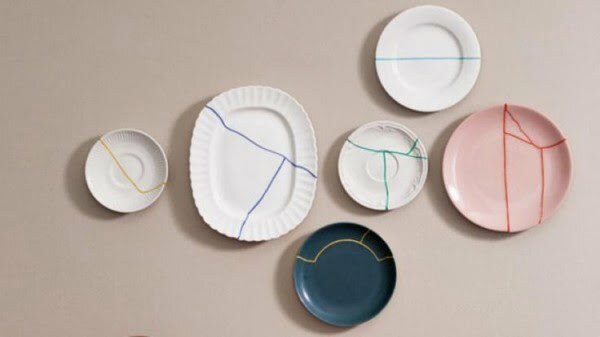 Plates make great DIY wall art as they are, but the cracks add an additional whimsical element to them. Want a convenient way to store your brushes for easy access and without cluttering up your bathroom vanity? Attach a pair of old tin cans to the inside of the cabinet door as a clever storage solution. Give those wine corks a new life instead of throwing them away by crafting simple coasters for your drinks (and yes, more wine). Who would have thought that toilet paper tubes could make wall art? They do and you can create these cute little flowers to decorate any wall. If you haven’t gotten rid of your old t-shirts, good for you. 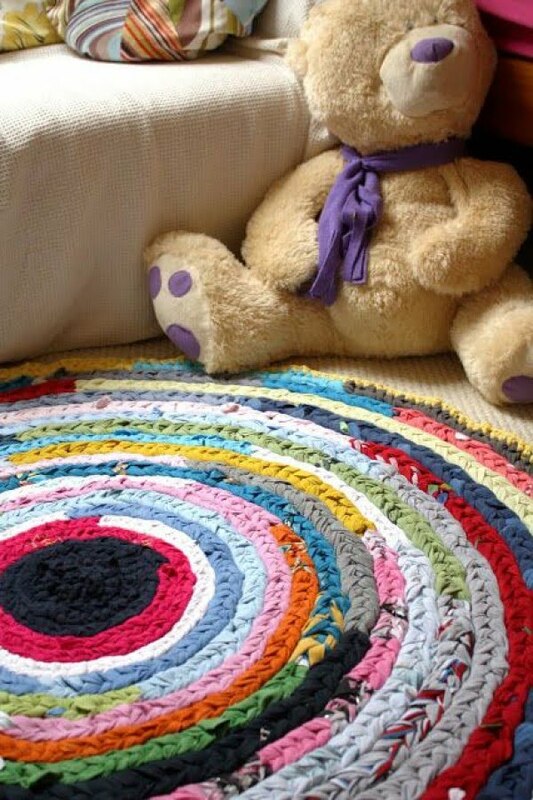 You can quite easily make this awesome rug out of them. 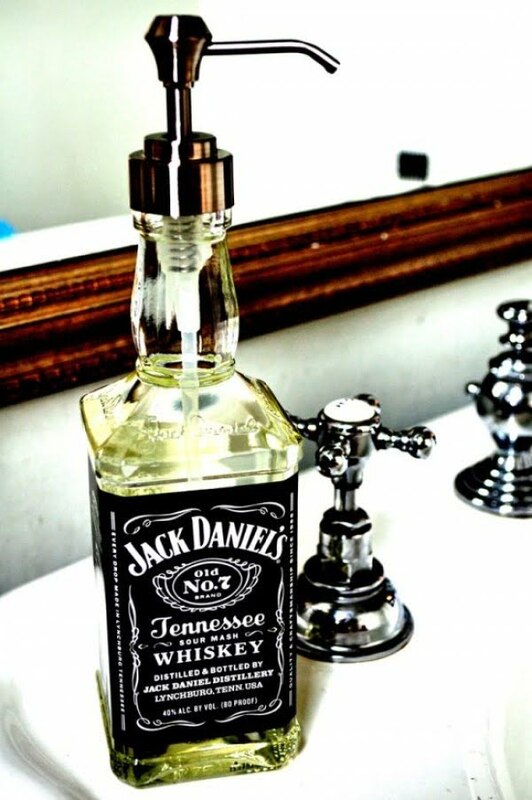 If you find the design of a bottle appealing, it’s so easy to reuse it for a soap dispenser rather than throwing it away.